With December (and its accompanying temperatures) on the horizon, we thought it would be a fitting time to talk essentials—winter essentials to be precise. We know they’re not the most exciting group of fashion items to buy—we’d rather be shopping for pom-pom sandals and miniskirts too—but unless you live in sunny California, there are certain items that are pretty much mandatory for braving the upcoming weather. Plus, if you look hard enough, you can actually find pieces you’ll look forward to wearing—trust us. So, to help ease the process, as well as ensure your picks are as stylish as they are practical, we’ve rounded up the best of every winter essential for you to shop right here, right now. And, no matter if you’re looking to save this year or splurge on a couple of items, we’ve got something for you. Scroll through to see our picks! 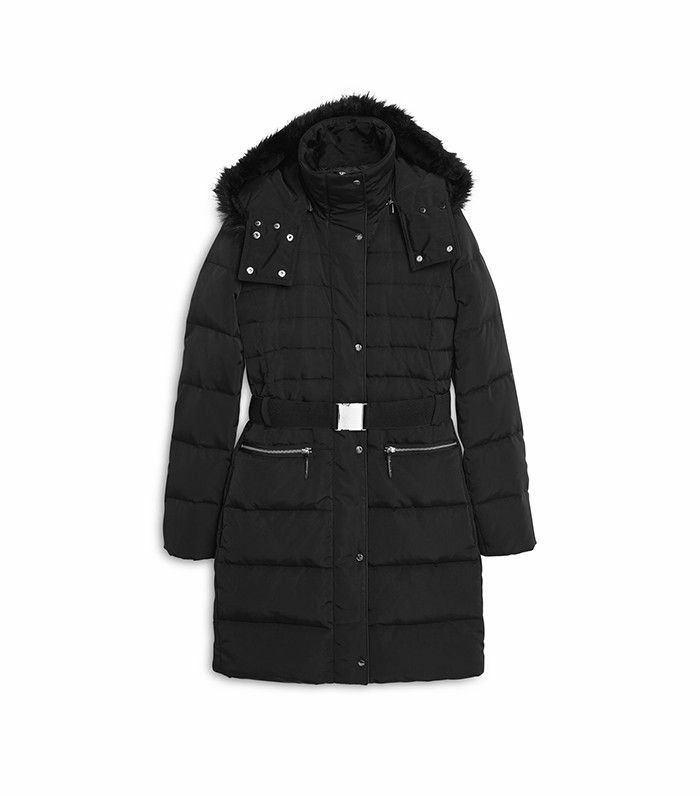 Whether walking to work or hitting the slopes, this chic black jacket has you covered. We can already bet this will be a hit among street style stars next fashion week! Layer this easy turtleneck all season long. Wear this in the day or on a night out with heels. We love this unexpected color. Take layering to a whole new level! Wear these with literally everything this season. There is so much to love about these mixed-material boots. These suede gloves will give any outfit a luxe look. You'll wear these classic moto gloves for years to come. This beanie is bound to keep you warm and stylish this winter. A little cable knit goes a long way. Pair these with boots, sneakers, or your favorite heels! The kind of socks you want just never take off. Were you already prepared, or will you be snatching up more than one thing on this list? Tell us in the comments!